Youtube comment: That’s too bad….. I was looking forward to the end! SEEMS THIS GUY WHO MADE THIS VIDEO KNOWS ALL! Hah, people in general believe what other people say tooooo much in these times. If this subject interests you…. DO YOUR OWN RESEARCH. My perspective: That is the point of the Video: Stop following Beliefs and actually develop Common sense that supports all Life, establish who you are in Self-Honesty, Self Forgiveness and direct yourself here in Self responsibility – then all deception will stop and we will all live Equally according to what is Best for All. The physical is the one point we all exist as – so let us work as the physical to live here, drop all the mind crap that separates us. My perspective: Wow – so what you are saying is that you do not apply common sense to find out what is best for all because the Light makes you feel so good about yourself. Unsubscribing would imply that you are going to go back to your bubble of light while leaving the world to suffer while you sit in your house that you paid for because you have money and support. The light is a drug which makes you believe you are better than everybody else just because you can read. My perspective: There is more information on the Desteni web site on ‘The Design of Indigo’s’ I suggest look at the common sense that is being presented. 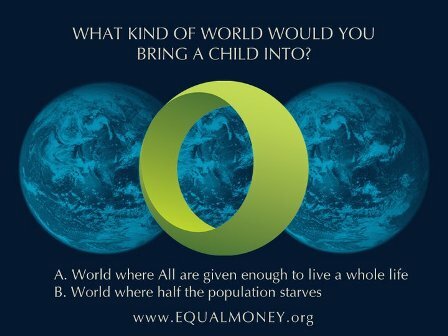 The world has been designed to exist as separation so that we may all continue supporting the Current world System, designed around the Currency of Self-Value – which we Support as the Currency of Money. Thus designs within Mind Conscious such as Indigo is another form of separation just like religion, culture, society, personality – which each fight to defend while millions suffer on this planet. We suggest we all stop fighting for our separation as self interest and find ways to co-exists EQUAL and ONE within what is real – the physical. As soon as you go into your mind and a thought comes up: but this makes me special: I suggest stop and look at how you are directing yourself only within self gratification: An addiction to the energy of being Indigo. Each of us have a point of energy we are addicted to that we will justify as: who we are and will defend that point regardless of how we create the world to serve our self interest. My perspective: Have you actually taken a good self honest look at how god exists in this world as Money. Look at it – everything you do and ever have done is to gratify your own needs and to survive in this world. Look at your own comment: you want us to see how in tune you are with some higher understanding – the energy from us paying attention to your comment will give you a feeling of Self-Value.. This Self Value people try and obtain through money or Ego. Have enough money? Then you won’t be on Youtube looking for energy. My perspective: This statement shows your energy addiction. You see that experience that comes up in you like an entity boiling up saying: tell them how at peace we are!! That is energy possession. I forgive myself for allowing separation due to terminology as knowledge – which gives me the perception that I know more than other people. I forgive myself for allowing myself to want to be god and in this adopting many words and ways of communicating – which impress people – because together we have given value to words and their definition as being important or special. I forgive myself for wanting to place myself within this world as god-consciousness – by adopting and remembering big words which will cause people to shudder in their boots like: Self-Forgiveness, Self-Honesty, Oneness and Equality etc. I forgive myself for believing that Self Honesty as words is how one builds up experience – instead of realising that actual living change is how one experiences self as life. I forgive myself for placing value into one experience or expression – due to my own belief structure around good/bad, right/wrong, valid/in-valid – instead of taking all experiences and learning from them equally. I forgive myself for believing that what I do is more important than what other people do and thus I design the concept of Clever people versus not so clever. I forgive myself for designing the idea of mental abilities – this again separates us into the Mind – instead of us finding physically practical ways to live here – instead of depending on intellect to form groups and people within groups to support each other. I forgive myself for labeling my own words and actions as clever and in this establishing within my world and myself a need for accomplishment – instead of being here in the physical. I forgive myself for allowing thoughts – that some people are not so clever – if they don’t speak like me or speak my own language or understand something I understand. I forgive myself for not unconditionally listening to people and allow them to complete their sentence – before attaching value to what they have said: as clever, smart, able, intellectual. I forgive myself for pressuring myself into performing and being able and clever. My perspective: What we need to realise is to stop blaming governments and religions – unless we actually look at how we place these institutions in power. When did we separate ourselves into seeing a higher power will save us from what we accept and allow? When did we create spirituality and the soul – was it to try and create an acceptable experience here – through creating energetic feelings we get from being ‘spiritual?’ Religion and politics are points where we have not directed ourselves in common sense.